Luitpold von Bayern was the fifth child and third son of king Ludwig I of Bavaria. At 14 he started a military career and he became an officer in the Bavarian army. During his travels abroad he met Auguste Ferdinande of Austria-Toscana and she became his wife in 1844. When the people of Munich were outraged about the king's affair with Lola Montez it was Luitpold who organised an audience of the people with the king. Soon afterwards the king and Lola parted and Ludwig abdicated. During the rain of Max II he wasn't involved in politics. In 1866 he commanded the Third Division of the Bavarian army during the war against Prussia. In 1869 he became inspector general of the army and king Ludwig II made him a field marshall in 1876. When Ludwig II's was dethroned because of his mental state (and drowned soon afterwards) Luitpold became regent for Ludwig's younger brother Otto in 1886. Otto had been mentally ill for many years and it was clear he would never recover. Luitpold was unpopular with the people, but this gradually changed because of his modesty and his strictly constitutional reign. The real power was in the hands of the Bavarian government. He died after 25 years of regentship in 1912, aged 91. 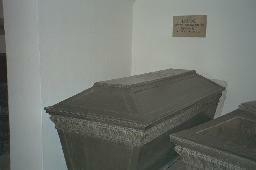 The tomb of Prinzregent Luitpold at the Theatinerkirche, Munich. 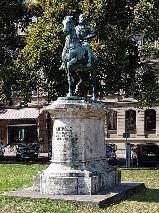 Statue of Prinzregent Luitpold in front of the Bayerisches Nationalmuseum, München. 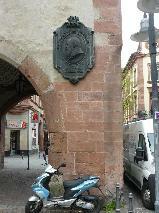 Plaque for Prinzregent Luitpold in Aschaffenburg. Statue of Prinzregent Luitpold of Bavaria in Bamberg.